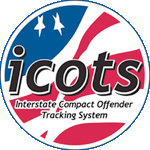 On Wednesday, May 31, 2017 a new code release involving rule-mandated changes to the Offender Violation Report and Progress Report activities was pushed to production in ICOTS. Several minor bugs were introduced and Appriss was very responsive in working with the national office to document and address those issues as quickly as possible. The vast majority of problems were addressed with "hot-fix" releases that Appriss pushed out to ICOTS during the work day on Wednesday 5/31, Thursday 6/1, and Friday 6/2. The majority of bugs were resolved within 72 hours of the release, but there are a couple remaining issues users may still be experiencing. We've identified a bug when a user adds additional conditions of supervision on a progress report, the attachment does not display on the progress report review screen with the other attachments. The new uploaded conditions are still saved, but they are only displayed under the "Plan of Supervision" tab on the offender profile. I've notified Appriss this is a relatively serious issue for states adding additional supervision conditions. I'll send an update on a timeline for resolution once I have one from Appriss. The current workaround for this issue is to have the user ALSO upload the new conditions in the recommendation section of the progress report. That attachment is definitely displayed when in the review activity screen. It does require the user to upload the attachment twice, but it's the only way for an end user to review the conditions without going back to the offender profile and the Plan of Supervision tab. Appriss has been made aware of this issue and is working on a resolution. Some users have reported an issue with notes added to a compact activity disappearing for the next user in the workflow. For example, a compact office user adds comments to a progress report for the PO to give more detail on the incentive and corrective actions section. When the progress report is returned to the PO, the comments don't show up anywhere on the review screen. So far, we've only received reports of this issue occurring on progress reports and transfer requests. Appriss has been made aware of the issue and is investigating the cause. Only recently, we've received reports that the response to violation report allows the user to select "Order Offender to Return" for an absconder violation report. This only seems to be a recently introduced bug, as this option wasn't available during the UAT process. It's possible fixing a different issue inadvertently caused this bug. Appriss is aware of this potentially serious issue and is working on a resolution. The first issue is not a bug. Some users of Internet Explorer 11 (or earlier) are still seeing a few problems using ICOTS. We’ve determined this has to do with having “Compatibility View” enabled. A couple years ago, we started telling users of older versions of Internet Explorer to turn on “Compatibility View” for ICOTS to resolve some intermittent display issues. With this release, that workaround we pushed is no longer necessary and actually needs to be turned off to resolve some problems with displaying pages. The reason being some of the back-end software running ICOTS has been upgraded to the latest versions for security concerns, which is unfortunately not compatible with a lot of older Internet Explorer versions (and the compatibility view). Below are screenshots showing how to remove the ICOTS domain from the list of websites using compatibility view. The only downside is that you'll need to enable compatibility view again to view the external reports on the ICAOS website. Thankfully, this is only temporary as the national office is rebuilding all the reports on a much more current platform that won't have these browser issues. One other side affect of the new release is that some users are having to download PDF documents in IE 11 before viewing. Appriss understands the issue and they're going to work on getting those to load within the page frame again (uploaded attachments always had to be downloaded before viewing though). We don't consider it a high-priority bug, as it doesn't affect all users and doesn't stop compact business. So it won't be a hot-fix type release in the next couple days, but the development team will work on a resolution during the next week or two. For the pending violation reports withdrawn when the new ICOTS release went live on 5/31/17, the activity history lists an "Alabama Supervisor" as the user responsible for the withdrawal. There is no reason for alarm. The Appriss user the developers used to run the batch withdrawal had to be assigned to a state, and Alabama just so happened to be the first alphabetically. The user name is actually "ICOTS Account", which would be more obvious as what the happened to the activity, but only Alabama users will see the full user name. Since the release, searching for an offender via demographics search has not returned the best results. For example, an exact match on the first and last name might be halfway down the page, while a similar 'sounding' name might be listed first. Appriss had to work quite a while to identify the underlying cause of the problem, but they've finally found a resolution. The new code release is scheduled to go to production on Wednesday, July 26, 2017. Those of you that have submitted tickets on the issue will receive an email update then. The best workaround for this issue is to use the Advanced section on the Compact Workload Search screen using the offender’s first and last name and any other identifiers.